Two Swedish fishermen are obliged to pay a half a million euro fine for fishing in occupied Western Sahara. 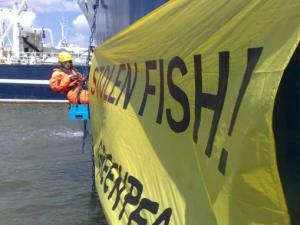 The Supreme Court of Sweden has decided not to accept the appeal of two Swedish fishermen. An eight year long legal process against the fishing group in Dakhla has thus come to an end. 22 April this year, a lower instance had fined the two 4,5 million Swedish kroners (approx half million euros) for illegal fisheries in Western Sahara during the years of 2007 and 2008. The European Court of Justice has also confirmed that the two had been fishing illegal, as the practice was not done under the EU-Moroccan fisheries partnership agreement. The fishermen were sentenced because they did not have the two relevant permissions when they were spotted by EU vessels about to fish in Western Sahara spring 2007. The EU-Moroccan Fisheries Partnership Agreement had just come into force and Swedish Fisheries Authorities were immediately contacted by European Commission. Sweden had voted no to the Agreement in 2006 since such fisheries are in violation of international law. The two fishermen had claimed that they had private agreements with a Moroccan fish factory owner and holder of fishing licences in order to facilitate for Morocco to develop a modern fishing fleet. The men is said to have earned 20 million Swedish kroners on the illegal fisheries, according to Swedish national radio yesterday. Swedish media yesterday did not mention which date the Supreme Court denied the appeal, but it appears to have been yesterday, 14 December 2015. 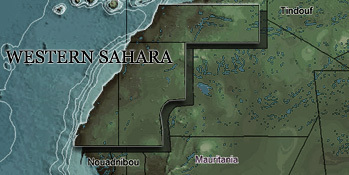 Western Sahara has been occupied by the neighbouring country of Morocco since 1975. Half the people of the territory has been living as refugees since. The UN is working for the decolonisation of Western Sahara.